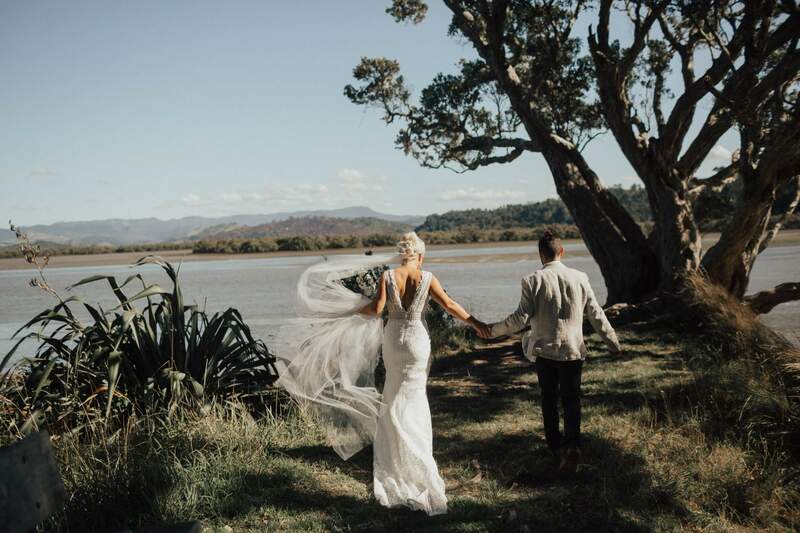 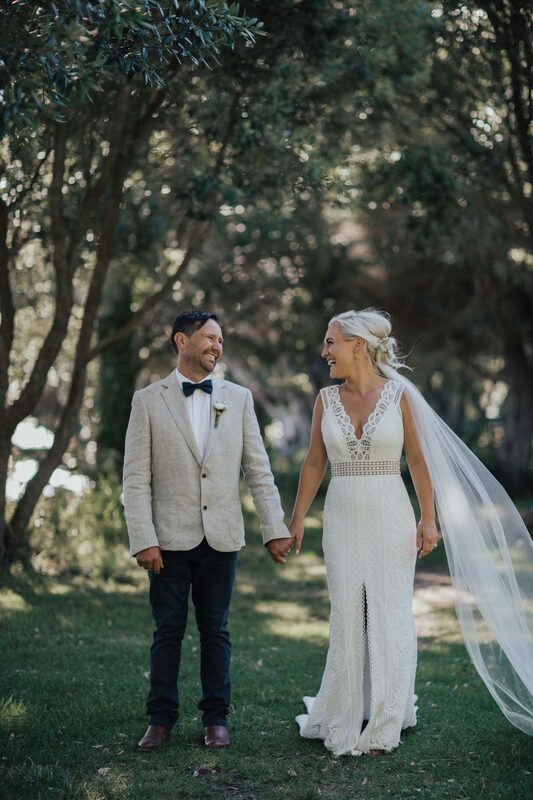 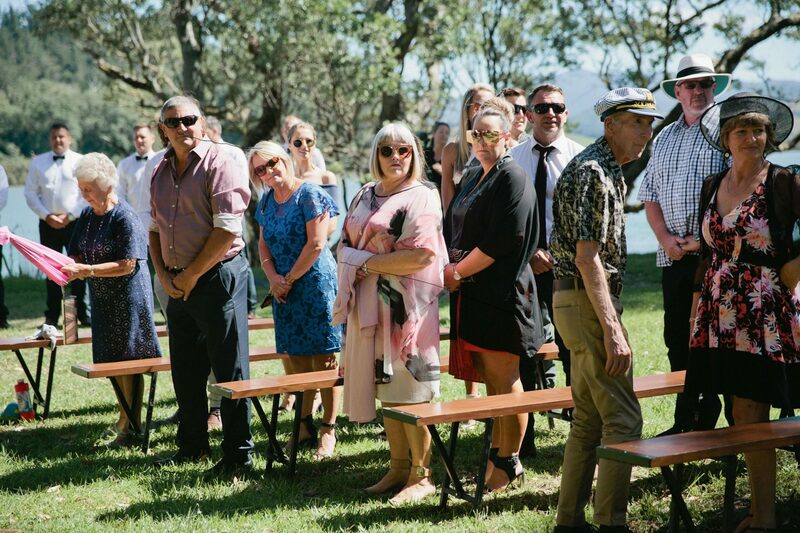 Topping off a very busy wedding season for our family, Lauren (Sara’s sister) and Shon’s wedding in Whitianga was a night that will go down in history. 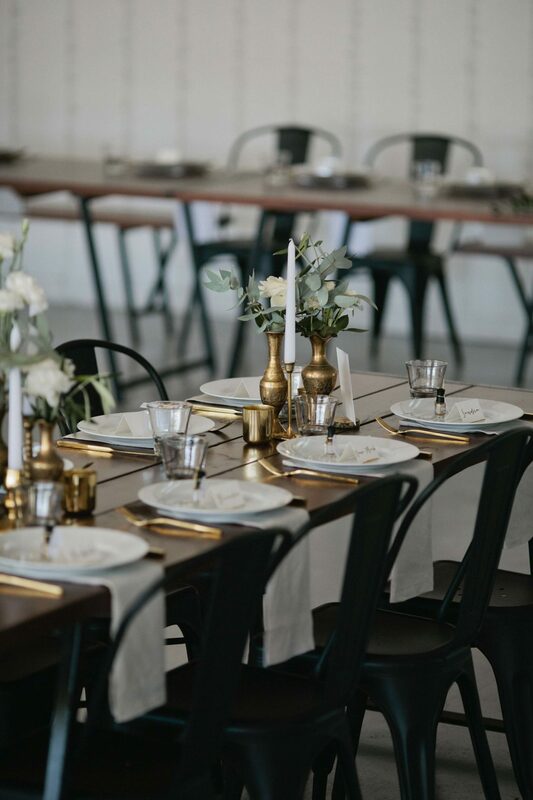 The father of the bride and his cohort, tested out the durability of Twelve Tables furniture by dancing the night away on the tables (though not something we condone, we are glad to say they survived). 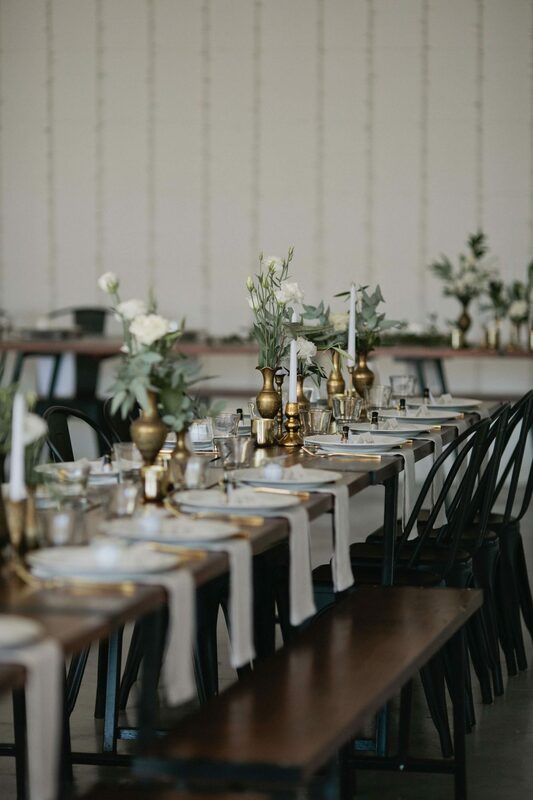 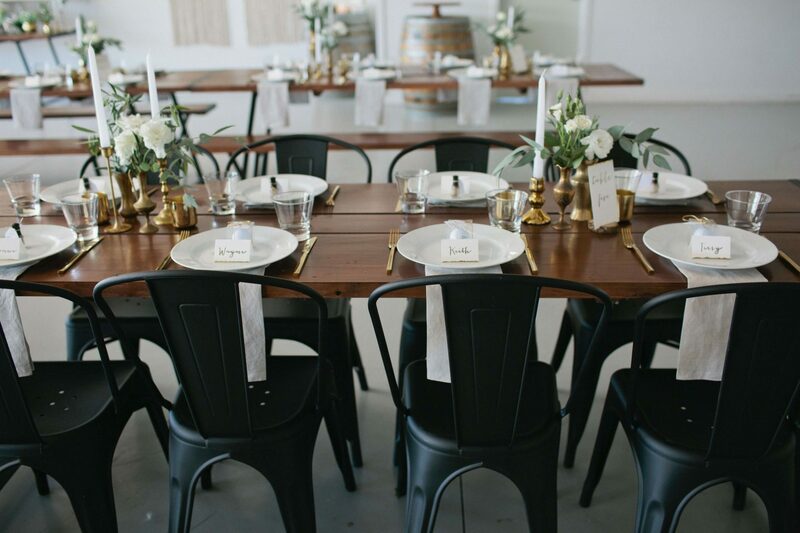 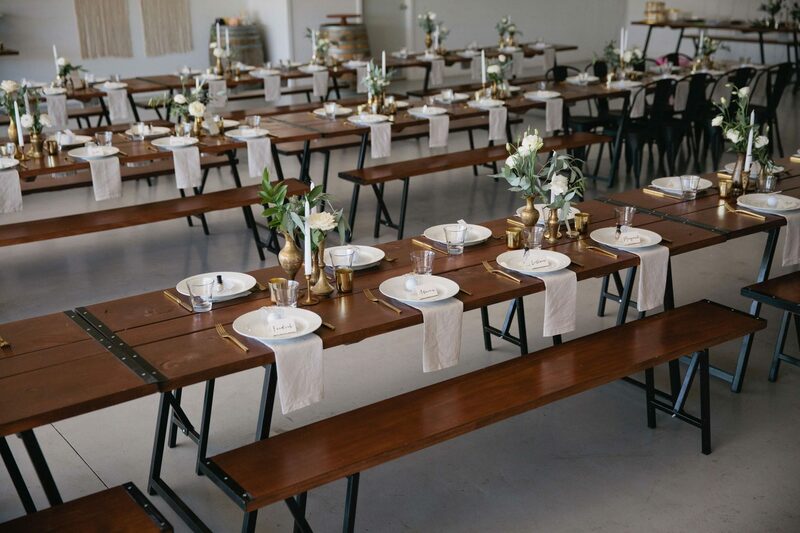 Lauren and Shon’s reception was held inside a flight hanger, proving that our wooden tables and bench seats look just as great indoors as they do in our clear marquees.